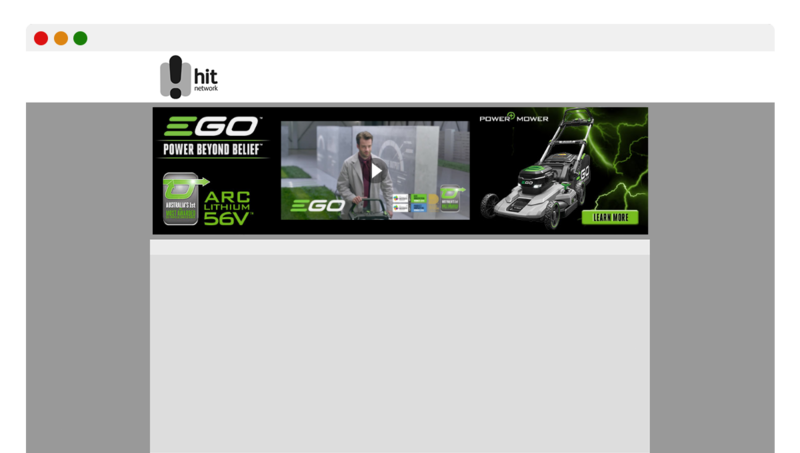 A video billboard is located at the top of a page, making it the first thing a user sees when landing on the site. This is a highly engaging position and therefore the perfect location to showcase a TVC or Internet promotional video. A combination of static images and video provide constant engagement with the creative.